Just Renovated! New Kitchen!!! 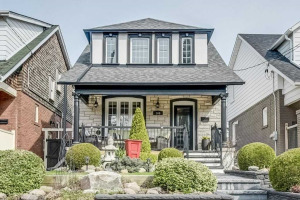 !5 Year Old Cus 2 Storey Home In Prime Danforth Village! Priced To Sell!!! 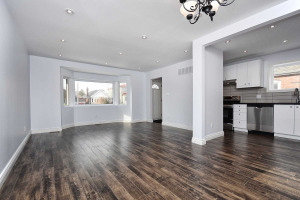 Spacious 3+1 Bedroom Home Boasts A Modern Open Concept Layout Perfect For Entertaining.Huge Master Bdrm W/Fireplace/Walk-Out Balcony, Granite Kitchen Counter Top; Open Concept Living/Dining Room W/Hardwood Floors & Pot Lights; Main Flr Office Can Be Used As 4th Bedroom; 2 Fireplaces; Fin Bsmnt W/2 Bdrms.Close To All Amenities/Ttc Station Walking Distance!